If you want a reliable service company, look for Chiko’s Locksmith to fulfill your needs. They are the answer to your car lock repair needs. Next we will explain some of the challenges involved on this task and how they overcome them. What if you lost your keys? Taking your spare key to be duplicated is not as easy as it sounds. It is a different technology from the locks you have at home. 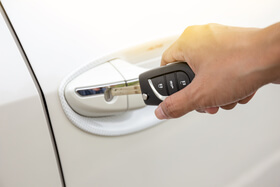 What you need is a car lock repair service for key duplication. The list has the leader brands, but not all of them are here. If you cannot see your car on the list, call and ask them for help even if you need a roadside repair. Chiko can also handle the latest transponder keys. They will provide you with valuable information on how to duplicate our keys. 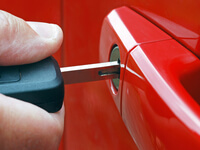 Another common car lock repair service consists on resetting your car’s security. This is needed whenever your lost or damaged all your keys. If you need to change all the keys of your car for any reason, it is a matter of programming. Most car key locksmith may not be able to perform this job. What you need is a trained locksmith with the right tools. They will enter your car’s main computer to change the codes. Then, they can recode or program new keys for you. The exact process of this car lock repair may change from brand to brand. But if you get a knowledgeable locksmith on car locks, you can be sure he can perform the job. Another common issue, particularly if your car has been rolling for some time, is to need a car lock repair because it just failed. This is also needed when somebody tried to force your auto. Even if they failed, they may have damaged the car lock. The worst on a broken lock situation is when you need a locked out of car service because somebody is inside. Then, it is an emergency. If there is a problem with the electric system, then all doors may fail at the same time. The solution is to call Chiko’s Locksmith. They can perform an electrical or mechanical car lock repair easily.